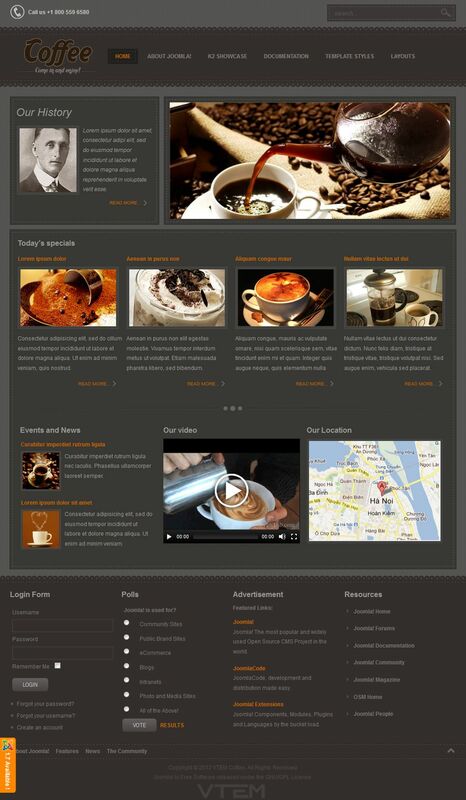 VT Coffee - December stylish template developers Vtem, having a light and dark design theme. This template can be used for personal blogs, business sites or corporate projects. The template contains a lightweight, modern design with a very fast loading. Flexible customization of the template in the admin panel you can customize the layout with a choice of color schemes. Full version support Joomla 1.5 - 1.7.